UX stands for User Experience. Basically, the expected and needed user experience of the service or digital product to meet user and business goals. 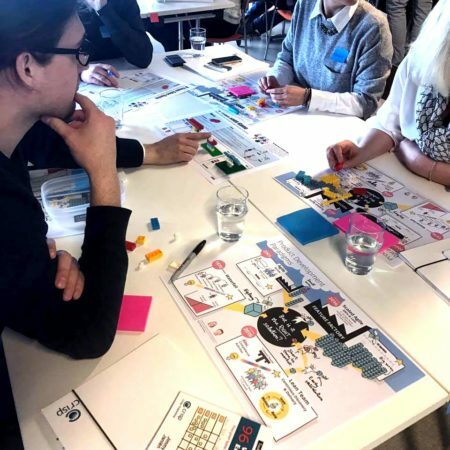 To connect user needs and business goals is basic when working with user experience, it is basic to meet users and understand who they are – and involve and understand stakeholders. Any team can work with UX as long as they get to do this, and have the methods and processes to do it in a structured and effective way. 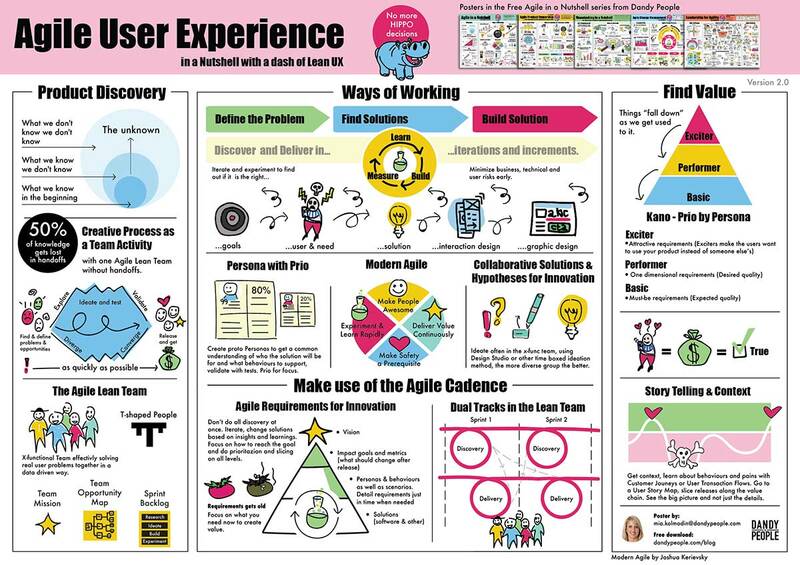 What does Agile UX mean? Agile UX is about the collaboration between humans to find usable and feasible solutions. The collaboration in Agile teams is key to find good solutions. the more diverge the team is doing ideating, the better the solutions will be. Lean UX is about getting quick feedback, work hypothesis driven, do user centric experiments, work data driven and deliver in really small batches and often. It works very well wth Agile, and the Agile cadence in Scrum, and brings a lot of intelligence to the team to make smart decisions. It often means that a Scrum teams needs to change they idea of the solution more often than an “old school Scrum team”. That’s why I call it a “Agile Lean Team” instead of a “Scrum Team” or an “Agile Team”. To be able to work with Lean UX and be data driven, an organization needs to be mature in the sense it has to set clear measurable goals, be transparent and give mandate and support to teams to meet the goals – an Agile Lean team working with Lean UX knows the solution will change quickly, but the goal and the problem will not, and it´s up to the teams to solve the puzzle. Do you do “UX” and then development? Many Agile teams also struggle with how to combine the discovery work (user research, finding solutions and testing) with delivery (building, coding, and designing solutions) when working in Scrum, and because this is often difficult to integrate without friction, many designers and design teams find them selves cut of from the agile process, leaving them to work in their own silo with their own process – just as the development team find them self cut of from ideating and becoming more or less development robots. This is usually never a good situation for anyone – and especially not for the user who usually experience bad user experience when there is hand offs in the process. When design teams are places in silos they usually deliver design, strategy and prototypes that are well thought through in usability and look and feel – but it might not be feasible, which makes it bad user experience in the end anyway. This also makes it difficult to do incremental and iterative delivery – and usually very little collaboration between competences and learning what solution solves user problems or not. UX, or User Experience is not a role, it´s a competence, and a responsibility for the full Agile Lean Team. It´s the teams responsible to meet users to understand needs and behaviors and to find and build usable, feasible, and sellable solutions. Though there are as we know many product designers calling them selves UXers, and these people usually have a wide spread of competences from strategy, user research, information architecture, interaction design, graphic design, art direction, A/B testing, and front end development. But to have a user perspective you also need to meet the user, have empathy for users or have some way to understand the user. Designers have a basic need to understand needs to design solutions, and this process needs to be combined with Agile to become collaborative and effectively generate feedback to the team.